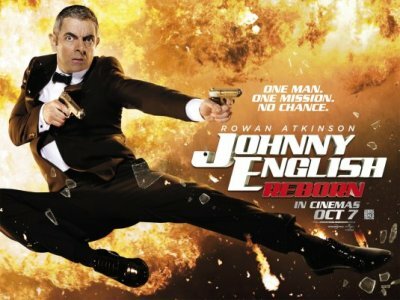 This is a sequel to the James Bond/secret agent parody film Johnny English (2003) with Rowan Atkinson (Mr. Bean) reprising his role as the incompetent titular British spy. Verdict: Watching Mr. Bean over and over again would probably still amuse me more than Johnny English Reborn but at least it’s more creatively written than its predecessor. Rowan Atkinson manages carry the film in spite of the faithful predictable and unintelligent nonsensical gags. So to enjoy the movie, just lower your expectation. Crossover parody: Spoofs on Chinese martial art/action flicks are incorporated as well. Toshiba? I’ve no idea what’s the real purpose behind it but I’m guessing it’s an inside joke on how poor economy in UK could have even their government spy agency bought over by an Asian business organisation. Pierce Brosnan… is supposed to make a cameo appearance on the film but I didn’t see him at all. Second opinion: “It’s funny lah; I liked the helicopter scene” (Iris Loong). seven coming.. haha.. mesti lawak r cite ni.. I'm curious. Is this a positive, or negative review actually?